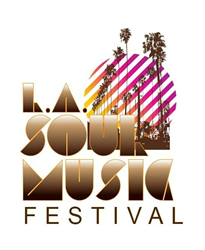 Soul music lovers are marking their calendars for July 22-24, 2016 and Los Angeles’ first annual LA Soul Music Festival. Debuting live at the Autry Museum of American West nestled in the scenic Griffith Park (located at 4700 Western Heritage Way, Los Angeles, CA 90027), Mark Douglas, along with business experts Ezell Kendrick, Jeffrey Weber and Airborne Tickets stand at the helm of this summer music festival circuit. Fri., Sat., and Sun., from 5:30 PM to 11 PM daily, this three-day festival experience will attract fans and tastemakers from all over Southern California. "Whether it’s vocals, instrumental soloists or a band, it doesn’t matter as long as each artist has the ability and talent to inspire and connect with an audience," stated Los Angeles Soul Festival Head, Mark Douglas. By way of determination and a unique vision, Mark and his team's goal was to bring a music festival to Los Angeles to present to the public in one of the city's most distinctive locations. Mission accomplished for the festival underway, as The Autry is the ultimate, outdoor venue for live entertainment on sun-kissed days and twinkling, summer nights. Nestled on 2.5 acres of outdoor space, festival goers can soak up the breathtaking view while escaping into the sultry sounds of live music. There is also free parking available across the street at the LA Zoo. Wine and beer enthusiasts can look forward not only to LA Soul Music Festival's many talented musicians on stage but also the opportunity to have their favorite libations of choice throughout the weekend. Budweiser, Budlight, Stella Artois, Shock Top and Golden Road Brewing are a sampling of the domestic and craft breweries onboard. Foodies too can rally in the fun of deciding which gourmet food truck will punch their palates with some local favorites such as Not Your Mamas Kitchen and The Kobbler King. Attendees will appreciate shorter waiting periods in line for food and beverages by the festival using cutting edge, RFID technology that lets fans leave their tickets and wallets at home. By loading funds onto wristbands, guests can effortlessly pay vendors on site. These RFID wristbands will also connect Los Angeles Soul Music Festival goers to the artists on the bill, other like-minded fans through social media, contribute to shorter entrance lines and function as their ticket into the event, too. Premium or General Admission level ticketless wristbands are now available for purchase for 1, 2 or 3 days at LASoulMusic.com. The full performance schedule, L.A. Hotel Downtown accommodations for out-of-town guests and other festival details can be found online as well. Interview requests for LA Soul Festival performers or players behind the scene should be directed to Jade Umbrella PR.